Amid all the hubbub over Google DNS on Thursday, the search giant also released two more helpful tools to help you get a richer search experience and improve your language skills. 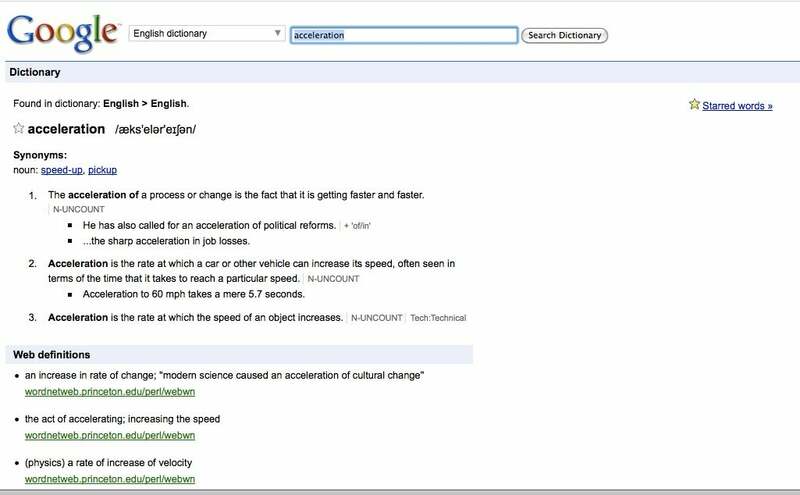 Google launched its dictionary project, offering a feature-rich resource that goes beyond simple definitions of words; and its new translated Web search makes it easier to find Web pages written in more than 40 languages. rch. To access words through regular search, click on the "definitions" link on the top right of your results page next to where it says how many results Google has returned for your query (click to enlarge the screen cap). Google dictionary isn't just for English. The project contains 27 other languages, including the major Western European languages, Chinese (simplified and traditional), Korean, Arabic, Hebrew, and many more. Notable languages currently missing from the project include Japanese and Persian. Google Dictionary also has an English-to-foreign language component, allowing you to translate single words from English into a foreign language or vice versa. This is similar to what you can do in Google Translate. dard definitions, and usage examples. You can also find external links to Princeton University, Wikipedia, and elsewhere to see to further definitions and usages of the word in question; however, it should be noted this collection of aggregated links on Google's dictionary page has been around for some time, according to The Los Angeles Times. If the word you're searching for is found in another language, Google provides a link to that dictionary as well, and particularly difficult or unusual words include an audio file to let you hear how the word is pronounced. Try searching in English for words such as schadenfreude or Zoroastrianism to see this in action. Some words may also trigger image results; search for winceyette to see an example of this. You can also bookmark particular words for easier access at another time. From what I can tell, Google's dictionary project has not been merged with the spell check on Google Docs. TIP: Google's dictionary is very comprehensive, so for all you juveniles out there: Yes, you can find your favorite dirty words and their definitions in Google Dictionary. And no, these words don't have pronunciation sound files. a similar feature for some time that allows you to automatically translate foreign language Web sites appearing in Google's regular search results. But this newest feature searches only foreign language Web sites. Once you've got your translated search, a box at the top of the results page tells you what language the results are being translated into and what language the results are being translated from. 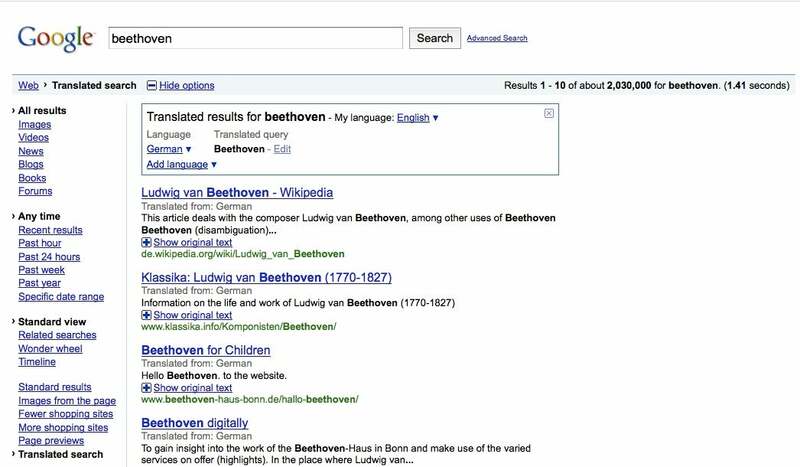 You have the option to add other languages to expand your search; Google supports 42 choices.